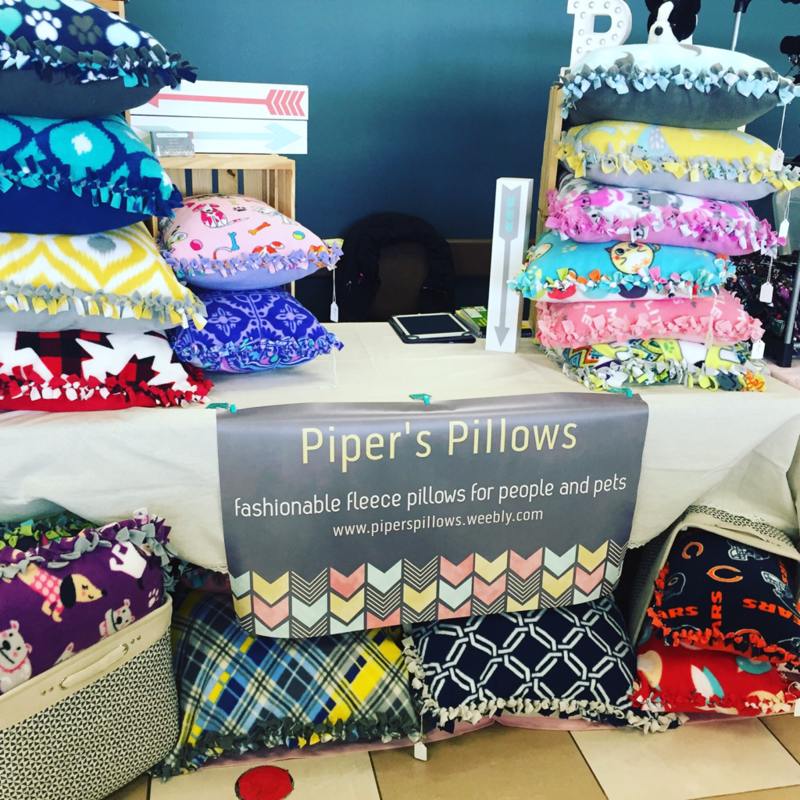 Today was our first show offering Piper's Pillows to the general public in a Craftshow and Marketplace setting. It was an fabulous experience. The internet is an amazing tool when starting a small business, like Piper's Pillows, we were able to research and prepare our entire game plan ahead of time and were relaxed when it came time to implement. Having ample inventory, completing a trial run of our booth and using a checklist for the show allowed us to be confident and prepared to face the day. We learned so much, met some wonderful people and sold some pillows too! We also reconfirmed, what wonderful family and friends we have supporting us! We couldn't be more grateful and wanted to write this blog to acknowledge everyone who sent texts, emailed, visited and helped us today and everyday when it has come to this new adventure. We couldn't be US without YOU! Tonight as we wind down and reminisce about the day, we are truly thankful!! Our love for all things furry runs deep and we recognize the importance of giving back to our community. Not only do we want to help make your pets happy and comfortable, we would like to help animals in need of a fur-ever home too! Its our promise that we will donate 10% from every pillow sold to the Humane Societies in our tri-city area. 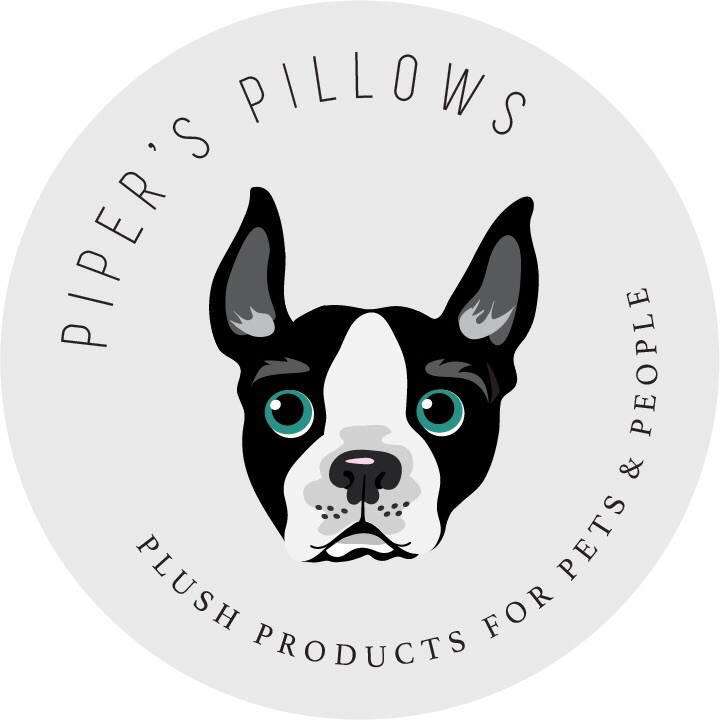 We want you to feel good about choosing Pipers Pillows for your pet and family. Thank you so much for visiting our new page, we’re a small home-based company in Waterloo, Ontario, Canada. We adopted a puppy last December and our obsession with all things pet was born! Piper is a rambunctious Boston Terrier who loves to play hard and sleep a lot!! Our busy puppy has always chewed on zippers and seams so we'd gone through a lot of traditional pet beds. While looking for alternatives I discovered the fashion and function of fleece covered pet beds. Fleece has come a long way and is now available in a huge variety of colours and patterns. Our goal is to make comfortable pillows that can be used in many different ways. Our 100% polyester fleece fabrics are soft, durable and washable - perfect for your furry family member. We have a large selection of sizes for our pillows and are able to customize orders, just ask!! Piper's mom, I'm a passionate person, who is crazy about animals, love and life. Just wanting to make this world a prettier, more comfortable place.